Jeff Gamroth has been building Porsche 911s since he was 15 years old. His shop, Rothsport Racing, is one of the preeminent Porsche preparers in the country. This year his team took the 911 way out of its comfort zone at the NORRA Mexican 1000 Baja race. Not only did two of his 911s finish, they made it back in decent shape! Both vehicles were posted up on display at the Luftgekült air-cooled Porsche themed car show in California, still rocking Baja dirt, in transit back from the race to the Rothsport garage in Oregon. I caught up with build boss Mr. Gamroth himself and Jeff Zwart, a storied racer in Baja, rally and elsewhere, and well-known Porsche enthusiast who drove one of the two Rothsport-prepped 911s at the Mexican 1000, to find out what it was really like to run rear-engine rear-drive performance cars through the rocks and sand and silt of Baja. The 2017 NORRA Mexican 1000 had a wacky and wonderful grid of competing vehicles, including a VW camper van, a 1959 Triumph TR3 that had competed in the first NORRA event half a century ago, a Ford Galaxy, a Chevy Nova, a ’57 Chevy and two air-cooled Porsche 911s. The Porsches competed in the Vintage Production Car class, put down 320 horsepower, weighed around 3,200 pounds, packed nine inches of suspension travel and hit 106 mph over dirt according to one of the drivers. Both cars were among the 130ish that finished, out of a starting grid of 260. Jalopnik: So you’re the man behind this bone-headed brilliance? Jalopnik: Were these cars built specifically for Baja or were they hanging around from another event? Zwart: “These were cars that were totally built for the race. Jeff [Gamroth] had an ‘itch’ to do this event, and build a 911 to do it. Then... he got another partner, Cameron Healy, [who was] the one who asked me to drive. And I’m like, oh, we’re gonna do it in a 911? For me, in my world, if I can do something in a 911, it’s just... more... it validates it better for me? Naturally, you’re kinda concerned that it’s actually a ‘good choice,’ but they seriously built two amazing cars. Jalopnik: What was the scope of the build? Jalopnik: So the plan is to keep running these cars? Jalopnik: What’s been done to the engines? Longer shocks gave the Rothsport 911s nine inches of travel, as much as the front half of a Chevy Colorado ZR2. Jalopnik: So what were the trouble spots? Zwart: “Anything deep- silt. And deep sand. Gamroth: “The main thing was getting stuck. Because of our ground clearance and two-wheel drive. We didn’t have enough time to get the four-wheel drive developed enough. 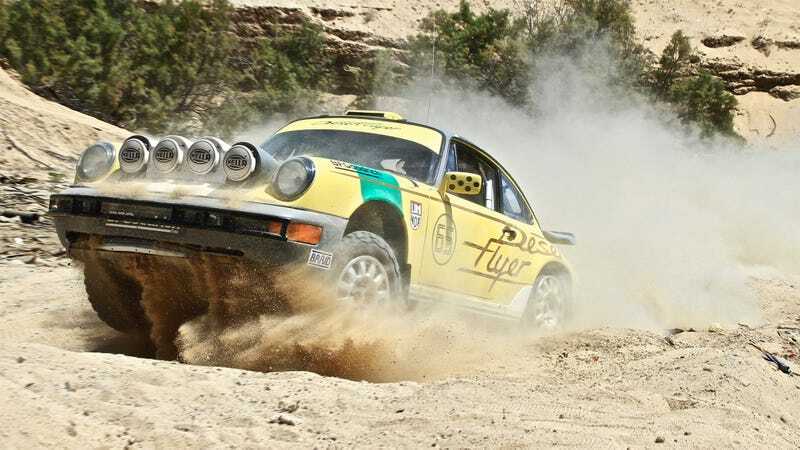 Jalopnik: What would you do differently if you were going to run these cars in Baja again? Gamroth: “I would go AWD and have ring and pinions made. Get close gears made. We’re gonna change a little design here and there on some of the skid plates to gain some ground clearance. But, other than that, we didn’t actually break anything. 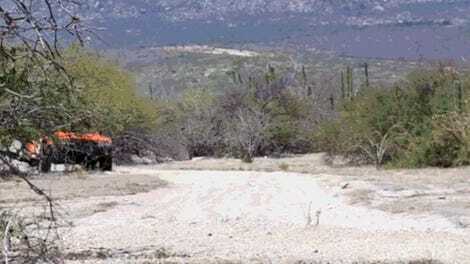 Jalopnik: What did people think of these things when they saw them in Baja? We got mad props. We gained a lot of respect, I will say. Everybody was very cool. Zwart: “For me, with a team that’s not really done the Baja 1000, you just want to get everyone to the finish and make sure that happens... For a rookie team to come in and finish both cars, that was awesome.